More than 3,000 Australian investors in BHP (ASX, NYSE:BHP) have turned threats into action by launching a class action against the world’s No.1 miner for allegedly misleading them over the 2015 collapse of a dam at the Samarco iron ore mine in Brazil, which killed 19 people and became the country’s worst ever environmental disaster. The action, led by law firm Phi Finney McDonald on behalf of BHP shareholders, claims the mining giant violated its continuous disclosure obligations by failing to inform investors about the imminent risk of the failure of the dam and the likely catastrophic consequences. Action claims there had been problems with the dam in the years before 2015, and that BHP was aware of a"significant risk of failure," but failed to inform the market. The legal move seeks to recover losses from the period following the disaster from November 5, 2015 to November 30, 2015, which saw a wipe in market value of around $25 billion. 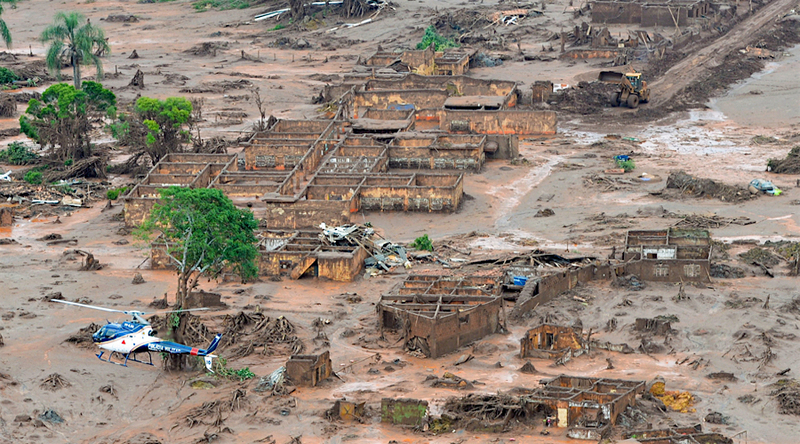 By the end of its fiscal year 2016, the Melbourne-based miner posted a $2.2 billion loss for the impact of the Samarco dam failure. In a brief statement, BHP said Monday it would defend the claim lodged in the Federal Court of Australia. Last month, BHP announced that it had settled an initial $7 billion in damages with the Brazilian Government in order to provide a two-year window for the settlement of a larger $55 billion civil claim. It also announced that it would commit $211 million to the Renova Foundation created to help victims of the Samarco dam disaster in Brazil.